The Samsung Galaxy Note8 dominated the tech airwaves this week. The flagship seeks to steady the Note ship after a couple of turbulent years. Normally we'd say "look forward, not back", but Counterclockwise is an exception to that rule. A stylus? That's so 2004! The Note series has had an experimental feel to it since the start. The original Galaxy Note was among the first large-screen Androids to be marketed as a phone, not a tablet. And it had a stylus! Both were considered fairly unpopular at the time. Back in 2011 when the Note was unveiled, the market had barely moved away from the clunky resistive touchscreens. Those were small and inaccurate, hard to use with fingers so a stylus was included - its narrow tip offering precision and more pressure. Apple's iPhone marked the turning point, moving away from resistive to capacitive touch detection and designing the UI specifically for finger use. 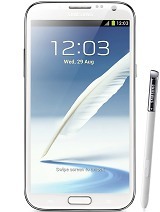 Far from outdated, Galaxy Note's S Pen actually used Wacom technology, which is well known in the graphics tablet field. It was very precise and required no pressure at all. In fact, the Note could detect the stylus at a distance, allowing "hover" - a gesture common on desktops (with the mouse), but not so much on mobile. The original S Pen was sensitive to 256 levels of pressure. This doesn't matter for clicking buttons, but it's vital for its key functionality - a realistic writing experience. As you pressed less or more, the virtual pens and paintbrushes left smaller or bigger marks on the virtual paper. 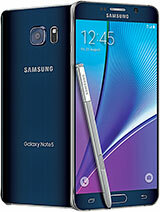 The sequel - the Galaxy Note II - quadrupled that to 1,024 levels of pressure. The sensitivity was doubled to 2,048 with the Note 4 and then to 4,096 levels with the Galaxy Note7 (well, Note FE now). Despite being called a tablet early on in its life, history will not remember the Note as one. Samsung did introduce a line of tablets in 2012, though, alongside the Note II. The Galaxy Note 10.1 had a few versions that mostly differed in connectivity. The S Pen separated these from the Galaxy Tab units and offered even more room for artists and dedicated note takers. These never adopted the Super AMOLED screens that flagship Galaxy phones are known for, not even the premium Galaxy Note Pro 12.2. Surprisingly, Galaxy Tab S tablets did have sAMOLED screens, some even had an S Pen! A curved screen is fairly common now - the Galaxy S8 doesn't even have a flat option - those were still quite rare in 2014. The Galaxy Note Edge began life as a showroom prototype, but high demand pushed Samsung into an actual commercial launch. This phone introduced the Edge features that the S phones still carry. Also, software saw the edge screen as a second display, so some apps put additional controls there. For example, the camera placed the shutter button there, which (due to the curve) sort of felt like it's on the side of the phone). 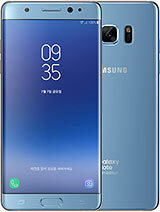 The Galaxy Note is essentially an S phone on steroids - even disregarding the S Pen, the Note 1 through 4 came with larger, sharper displays and faster chipsets. Quite naturally, that made them the most expensive phones in Samsung's lineup. 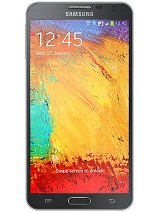 The company did try to make an affordable version - the Galaxy Note 3 Neo had a 5.5" Super AMOLED and the S Pen. 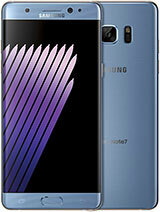 Sure, it was closer to the Note II in terms of specs than its Note 3 namesake, but it also carried a lower price tag. Our review of the Neo was positive, though pricing was too high for our tastes. It wasn't just us it seems, Samsung never made another Note Neo. Everything was going great for the Note series until unexpectedly the 5th generation hit a roadblock. The Galaxy Note5 was the first of the line not to have a faster chipset than the contemporary Galaxy S phone. The screen had the same resolution too. Worse still, the Note5 inherited the bad qualities of the Galaxy S6 - the battery was sealed and there was no microSD slot. It was the most underwhelming Note to date. Market availability just added to the headaches - Samsung kept it Korea and US exclusive, launching the Galaxy S6 edge+ in Europe as a substitute. Not much to say here, the self-immolating Galaxy Note7 and its global recall are still fresh in memory. Samsung did eventually resolve the issue - many months later - and relaunched the device as the Galaxy Note FE. This week we saw the rebirth of the Note line. The Galaxy Note8 learned from the mistakes of its predecessors. For one, the launch is global and pre-orders are already underway. Yes, even in Europe. And Samsung was conservative with the battery capacity, so there should be no repeat of last year. And the Note8 does have something better than this years Galaxy S8 - the company's first dual camera. You can check our hands-on for our initial impressions. We'll be publishing a full review as soon as possible too. 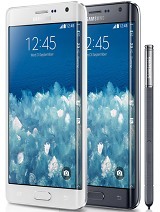 Counterclockwise: naming things is hard, so every new phone is called the "One"
The Note 4 is not in the list. Stunning machine, that still work very fine. But... a new Note 8 would be a great new replacement (however it's not necessary). The only disadvantage of the brand new Note 8 is its price! good article, short and precise, but the ending felt so blunt, it didnt taper off. 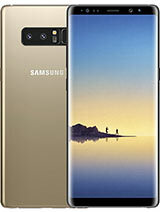 it should had described a bit more growth from previous ones to this Note 8 then this article would be perfect. That App pair feature can be found on even a Note 4.